This week I'm putting up something that you may know. 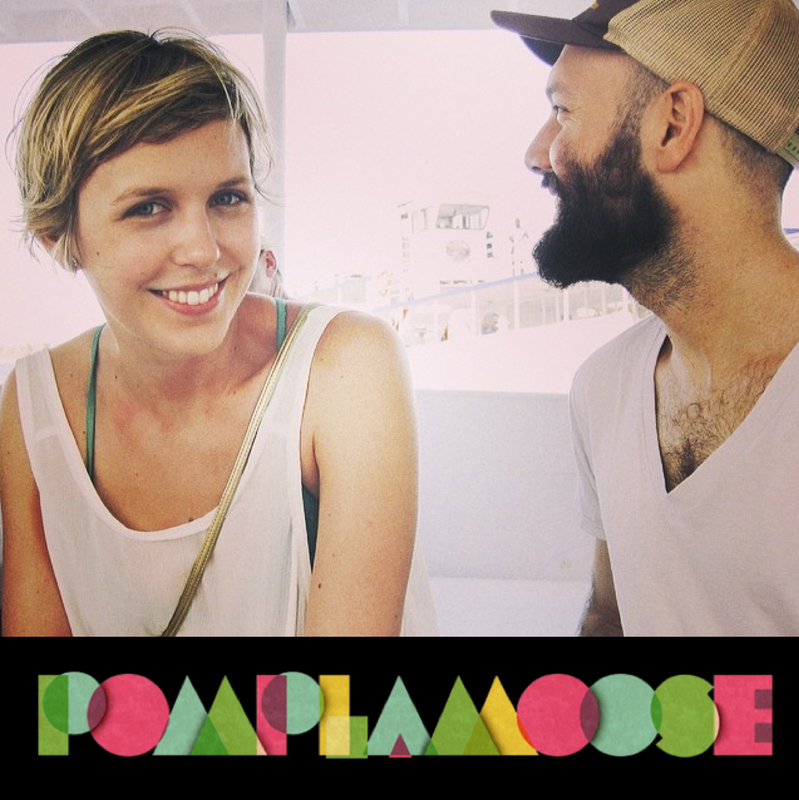 The group is called Pomplamoose. I've heard of their songs, but I wanted to show case their videos as something different. They are an American musical due, which features Californian multi-instrumentalists, real life couple Nataly Dawn and Jack Conte. They started the summer of 2008, and sold 100,000 songs online in 2009. I think that's a pretty big first year jump! They are known for mixing rock music sounds with electronic and jazz. Wow, these guys are really cool!! That's fun that they break it down so simple. The 2nd video looked like she was skating on heels, that's cool! You do find a lot of unusual groups. I like Insane Clown Posse, or at least, some of their songs like "It's all over." But I can't post them because the language is atrocious. Well I guess she is Happy!! Catchy tune. Very cool videos, A! I am not a big fan of jazz but these guys are great! The videos are a bit weird, but I do like the sound! I have a loaner computer that is old and slow doesn't like your blog. Frustrating! It took me five attempts to get here. Music? Heard mashup of happy. Yay! Love that song. I get effort award. Had a tough time getting here. Finally made it on iPad. Love the mashup. Nope first time hearing about them but the mash-up is cool! I was wondering about that video with happy. Well, that was just plain fun! Gr8 introduction to a new sound! I'll be sure to check them out. Love having you on the dance floor this week with the 4M crew. Keep your toe tapping! Sorry so late here my cable went out & just came back on today. So what have we got here? Very new to me first of all, and quite different I'd say! Thanks for sharing, and hope to see you next week. Thanks for joining us.